Peaches Bartkowicz, the 1960’s tennis phenom from Hamtramck, Michigan, began her rise to world tennis prominence by winning 17 age group titles as a junior, including the Wimbledon Girls’ Singles title in 1964. Over the next seven years, Peaches dazzled the tennis world, earning three medals in the 1968 Olympics (one silver and two bronze), and a Fed Cup Championship in 1969, with a 7-0 record in Fed Cup singles play. In 1970, Bartkowicz combined with Billy Jean King to win the final (and deciding) doubles match against Virginia Wade and Winnie Shaw, clinching the Wightman Cup for the United States. As a professional, Bartkowicz won 14 tournaments, and achieved a world ranking of 8th in 1969. She has been inducted into the United States Tennis Association / Midwest Hall of Fame and the Michigan Sports Hall of Fame. Jane “Peaches” Bartkowicz began her fabled tennis career as a tiny seven-year-old, repeatedly hitting a fuzzy ball against a handball court wall in Hamtramck, and went on to the top echelon of the sport as a touring professional. And now years later she is being honored with induction into the National Polish-American Sports Hall of Fame. Only one other tennis player has been elected into the prestigious Hall – Frankie Parker in l98l. Among many awards, Peaches also was enshrined in the Michigan Sports Hall of Fame in 2002. It all began in l956 when she found a tennis racquet in the bushes and wandered from her family home to the tennis courts at Hamtramck’s Memorial Park. 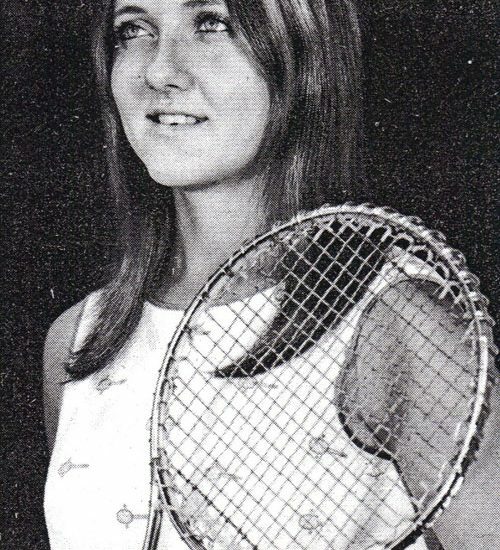 Little Jane Marie received basic instructions from tennis coaches in the summer Recreation Department program and was then sent to “The Wall” and was told to hit as many forehands as possible. She was determined and quickly grasped the idea of swatting the ball against the wall and aiming at target boxes between the lines. Peaches still holds the Hamtramck record of hitting 1,775 consecutive forehands against the wall. 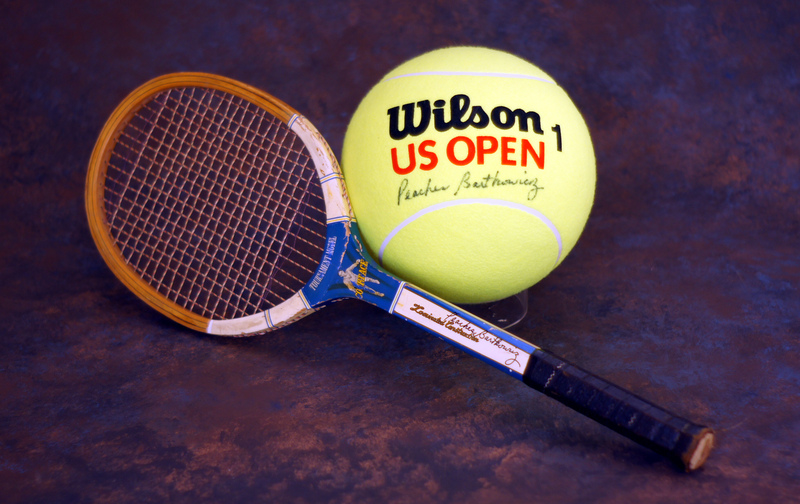 She also hit 980 volleys – keeping the ball continually in the air from racquet to wall without it touching the ground. One of Hamtramck’s top players and instructors, Richard Sunday, gave her the name “Peaches” and it has stuck throughout her career. “Back then, everyone had a nickname and Mr. Sunday said I had a ‘peach of a shot’ and I’ve been ‘Peaches’ ever since,” she explained. It wasn’t very long before Peaches began competing in state and national tournaments, and in 1960 the 79-pound mighty mite won the U.S. Lawn Tennis Association singles and doubles championships for 11-year-olds. That same year she also competed against 13-year-olds and won that division singles title. Between the ages of 11 and l9, Peaches won 17 National Junior championships – never losing a match. 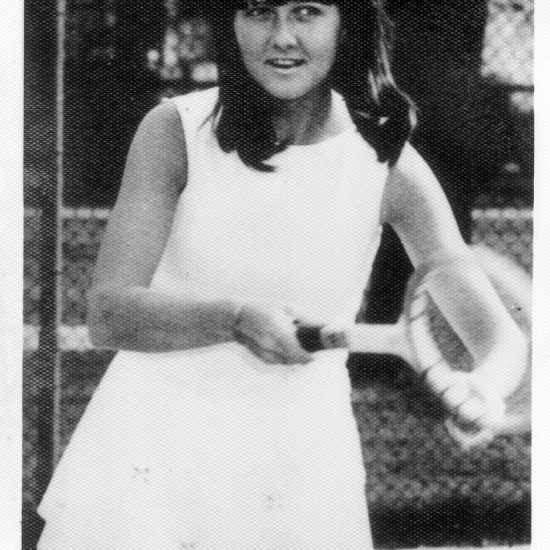 In 1969 she received her highest rankings as a singles player as No. 4 in the United States and No. 8 in the world. 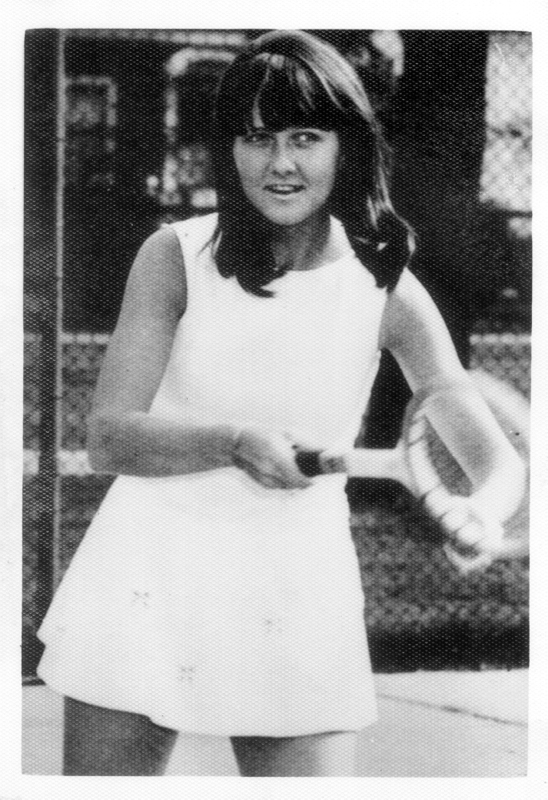 Peaches won the USLTA l8-and-under singles and doubles championship three years in a row (1965-67). Her record of never having been beaten as a junior ranks among the most remarkable in any sport. In l964 she won her first international tournament — the Junior Girls World Championship in Wimbledon, England as a l5-year-old playing against stars two or three years older. Peaches routed all challengers with an aggressive backcourt attacking style and an uncanny accurate two-fisted backhand shot. After graduating from Hamtramck High School, Peaches moved to Florida to train in the year-round warm weather. She grew to a sturdy 5-foot-8 young woman and was a crowd favorite on the national circuit with her flying pigtails and two-handed backhand. 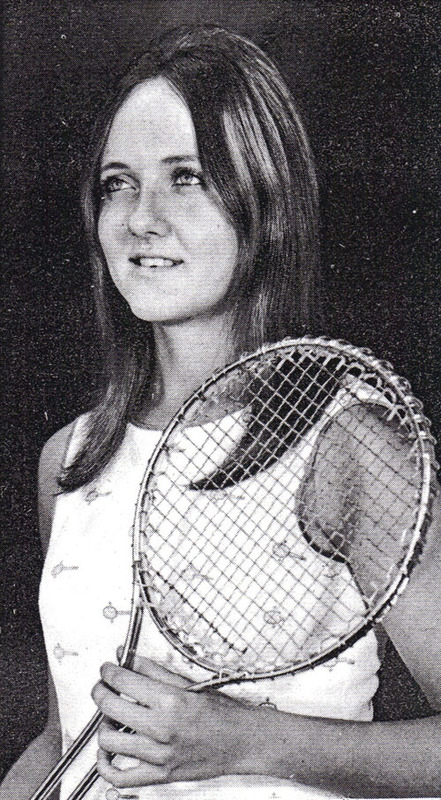 From l968 to 1970 she recorded singles victories over international stars Virginia Wade, Rosie Casals, Margaret Court, Evonne Goolagong, Francoise Durr, Ann Haydon Jones, Kerry Melville and Chris Evert. Tennis was a demonstration sport at the l968 Summer Olympics in Mexico City and Miss Bartkowicz came home with a Gold Medal in singles. She also excelled in doubles and was chosen on U.S. teams in the Wightman Cup and Federation Cup competition where she had a perfect 11-0 record in singles and doubles. As a 20-year-old, Peaches played her best tennis in 1969. She and Nancy Richey won the Federation Cup doubles title that gave the U.S. the best-of-seven event championship over Australia in Athens, Greece. That same year Peaches led the American team to victory over England in the Wightman Cup at Wimbledon. She won her singles match and then teamed with Julie Heldman to win the doubles in the deciding match for a 4-3 victory for the U.S. A year later she and Billie Jean King beat Miss Wade and Winnie Shaw in the final match for another 4-3 U.S. Wightman Cup championship. A few months later Peaches and Billie Jean headed a group of nine players who formed the “Virginia Slims” professional tour. 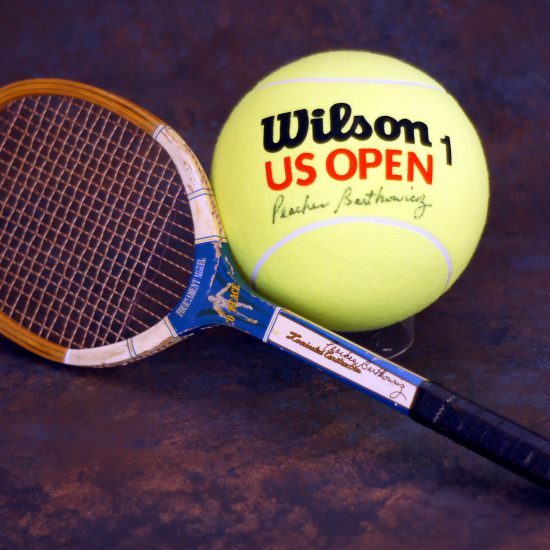 They were all immediately suspended by the USLTA and banned from competition in non-open tennis events including the Wightman and Federation international matches. She competed on the Virginia Slims tour and then joined the professional league as a member of the Cleveland Nets. Peaches retired from competitive tennis at age 25 to devote full-time to teaching the game that brought her world acclaim and took her to every continent on the globe for tournaments and clinics. She was the first American invited to play in Russia and she also played several tournaments in Poland.